Stephen is MRC Clinical Professor of Immunopharmacology at the University of Southampton. He was born in Manchester, spent his childhood in Cheshire and then moved to London in 1965 to study medicine at Charing Cross Hospital Medical School. After training in respiratory medicine in London and Southampton, he undertook a 2 year Fellowship at Harvard Medical School. On returning to Southampton in 1980, he pursued a research career on the mechanisms of asthma and allergy involving a wide range of different approaches and in 1987 was appointed to a Medical Research Council Professorship, a post he has held since. He has a particular interest in the role of air pollutants, viruses and allergens in driving airway inflammation and remodelling. chairs the MRC Translational Group responsible for pulling through discovery science into patient benefit and is a member of the MRC Strategy Board and the Natural Environment Research Council Science and Innervation Strategy Board. He is chair of the European Respiratory Society Science Council and member of the ERS Executive and a member of the Medical Sciences Committee of Science Europe. 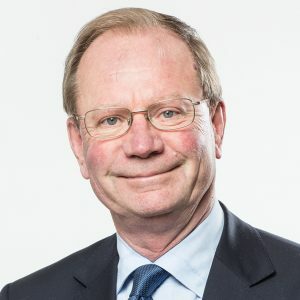 He serves on several Scientific Advisory Boards in the UK and overseas including chair of the MRC Centre for Musculoskeletal Aging, chair of the iMed Helmholtz Associations initiative in personalised medicine and member of the SAB for the European Centre for Environment and Human Health (Truro, Cornwall) and the Nottingham Molecular Pathology Node. Stephen has received a number of honours and awards including the King Faisal International Prize for Medicine, the Paul Ehrlich Prize of the European Academy of Allergy Asthma (EAACI) and Clinical Immunology, the American Thoracic Society (ATS) Recognition Award for Scientific Accomplishments, the William Frankland award for Clinical Allergy and the British Thoracic Society Medal. In 2011, he was appointed Commander of the British Empire in the Queen’s New Year Honours list for services to clinical science.